Cocoa is widely known to add culinary benefits to sweet treats, desserts, and even savory dishes. But cocoa extract may provide medicinal advantages as well. 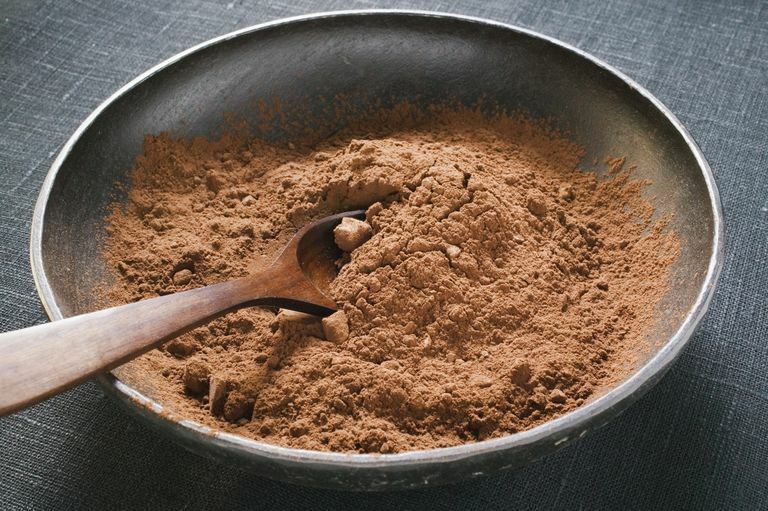 Researchers have studied the health benefits of cocoa extract with interesting results. As more and more studies reveal the heart-healthy benefits of cocoa extract, a growing number of purportedly good-for-you chocolate products are hitting the market. Antioxidants found in cocoa may help to fight heart disease. Cocoa beans contain polyphenols (notably epicatechin and catechin) that are believed to have beneficial effects on health. From cocoa supplements to fortified chocolate bars, products containing cocoa extract and cocoa bean powder claim to lower blood pressure, keep cholesterol in check, and improve overall heart health. But as much as most of us would like to believe that eating chocolate will improve our health, it's important to evaluate each condition separately. Here's a look at some of the research behind the health benefits of cocoa extract. Regular consumption of cocoa products containing flavanols (a class of compounds with antioxidant effects) may reduce the risk of heart disease, according to a research review published in 2008. The review's authors found that flavanol-containing products may produce positive changes in blood pressure, as well as improve function in platelets and the endothelium (a layer of cells lining the blood vessels). Other research shows that regular consumption of cocoa extract may help protect against heart disease by decreasing oxidative stress (a destructive process that occurs when DNA-damaging free radicals overwhelm the body's ability to neutralize them). A study published in the Journal of the American College of Cardiology involved 16 adults, all of whom had heart disease. Twice a day for 30 days, all study members drank a beverage with a high concentration of cocoa flavanols (a type of powerful antioxidant). Later in the study, the participants drank a different, low-flavanol beverage twice a day for 30 days. Study results showed a 47 percent greater improvement in vasodilation (widening of the blood vessels) during the first treatment period, indicating that cocoa flavanols may help repair damaged blood vessels and increase survival among heart disease patients. Cocoa extract may help raise levels of HDL ("good") cholesterol, suggests a 2007 study of 25 people with either normal cholesterol levels or mildly elevated cholesterol levels. For the study, researchers split participants into two groups. One group consumed 12 grams of sugar daily for 12 weeks, while the other group consumed 12 grams of sugar and 26 grams of cocoa powder daily for the same time period. Study results showed that those in the cocoa group had a significantly greater increase in HDL cholesterol, an effect known to reduce the risk of heart disease. Following a flavanol-rich diet may help reverse blood vessel damage in people with diabetes, a small study published in 2008 shows. After 30 days of consuming flavanol-rich cocoa three times daily, a group of diabetes patients showed greater improvements in vascular function compared to patients who weren't assigned to treatment with cocoa. Even though study results sound promising, more research needs to be conducted before cocoa extract can be recommended for disease prevention. Cocoa is commonly found in many foods that we eat. Cocoa is likely safe for most people when consumed in amounts typically found in food. However, cocoa contains caffeine and other chemicals. Consuming caffeine, especially in large amounts, may cause side effects such as such as nervousness, increased urination, sleeplessness, and a fast heartbeat. Cocoa can also cause skin reactions, constipation, migraine headaches, nausea, intestinal discomfort, stomach rumbling, and gas. Applying cocoa to the skin may cause a rash. People with anxiety may experience more severe symptoms from the caffeine in cocoa. People with bleeding disorders should be cautious as cocoa can slow blood clotting. Caffeine in cocoa might cause irregular heartbeat in some people with heart conditions. People with diabetes should be aware that cocoa might raise blood sugar levels and might interfere with blood sugar control. Caffeine in cocoa increases pressure in the eye and should be used cautiously in people with glaucoma. Caffeine in cocoa may increase blood pressure in people with high blood pressure. Caffeine in cocoa can worsen symptoms of IBS especially if consumed in large amounts..
Caffeine in cocoa should be used cautiously in people with osteoporosis as it may change the amount of calcium excreted in urine. If you are considering using supplements containing cocoa extract, make sure to consult your physician before beginning treatment. Self-treating and avoiding or delaying standard care can have serious consequences. There is no recommended dose of cocoa extract. The right dose for you may depend on factors including age, gender, and medical history. Various doses have been used in studies investigating the health benefits of cocoa extract. Doses range from 19-54 grams of daily, dark chocolate to 46-100 grams daily of dark chocolate daily or cocoa providing 25-1,080 mg of cocoa polyphenols daily. Cocoa extract supplements come in a variety of forms including powder and capsules. These cocoa products may contain many other ingredients other than cocoa extract and these ingredients may affect the health benefits of the food or supplement. To make the best choice, the National Institutes of Health (NIH) recommends that you look for a Supplement Facts label on the product that you buy. This label will contain vital information including the amount of active ingredients per serving and other added ingredients like fillers, binders, and flavorings. Can I simply eat more chocolate to gain health benefits? Chocolate bars, beverages, and other treats contain many ingredients that can affect your health in positive and negative ways. While eating dark chocolate in moderation may boost your intake of heart-healthy flavanols, it's important to limit your consumption of chocolate products containing high amounts of fat and sugar. If I want to enjoy chocolate as a treat, what is the healthiest type to choose? In general, darker chocolate (with a a cocoa percentage of at least 70 percent) contains less sugar and these treats (depending on the brand and variety) may contain less butter and saturated fat. Baba S, Osakabe N, Kato Y, Natsume M, Yasuda A, Kido T, Fukuda K, Muto Y, Kondo K. "Continuous intake of polyphenolic compounds containing cocoa powder reduces LDL oxidative susceptibility and has beneficial effects on plasma HDL-cholesterol concentrations in humans." Am J Clin Nutr. 2007 85(3):709-17. Balzer J, Rassaf T, Heiss C, Kleinbongard P, Lauer T, Merx M, Heussen N, Gross HB, Keen CL, Schroeter H, Kelm M. "Sustained benefits in vascular function through flavanol-containing cocoa in medicated diabetic patients a double-masked, randomized, controlled trial." J Am Coll Cardiol. 2008 3;51(22):2141-9. Erdman JW Jr, Carson L, Kwik-Uribe C, Evans EM, Allen RR. "Effects of cocoa flavanols on risk factors for cardiovascular disease." Asia Pac J Clin Nutr. 2008;17 Suppl 1:284-7. Heiss C, Jahn S, Taylor M, Real WM, Angeli FS, Wong ML, Amabile N, Prasad M, Rassaf T, Ottaviani JI, Mihardja S, Keen CL, Springer ML, Boyle A, Grossman W, Glantz SA, Schroeter H, Yeghiazarians Y. Improvement of endothelial function with dietary flavanols is associated with mobilization of circulating angiogenic cells in patients with coronary artery disease. J Am Coll Cardiol. 2010 Jul 13;56(3):218-24. doi: 10.1016/j.jacc.2010.03.039. Mathur S, Devaraj S, Grundy SM, Jialal I. "Cocoa products decrease low density lipoprotein oxidative susceptibility but do not affect biomarkers of inflammation in humans." J Nutr. 2002 132(12):3663-7. National Institutes of Health. "Researchers Ask, 'Is Chocolate Good for You?'". October 21, 2005.